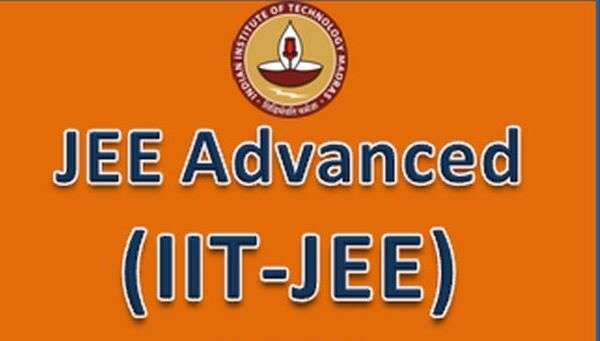 JEE Advanced is one of the leading entrance exam which will be organized by IIT, Kanpur for admission of talented candidates to B.Tech, Architecture, Integrated M.Tech courses or B.Tech -M.Tech Dual Degree in Engineering, Science & Pharmacy programmes. Online registrations will Start from 2 May 2018. Apply by filling JEE Advanced Online Registration 2018. The organization invites online application form from eligible and brilliant candidates. Submit JEE Advanced Application Form till 07-05-2018. JEE Advanced is a national level entrance exam. Team of sarkarinaukricareer.in is providing complete details about. There will be two question papers for JEE 2018 that is Paper-1 and Paper-2. JEE Advance 2018 will be conducted as a computer-based test (CBT).This year, around 10, 43,739 candidates have appeared for JEE Main 2018 examination out of which 2, 31,024 candidates have qualified for appearing in JEE Advanced 2018. Total 1,80, 331 boys and 50,693 girls are qualified for next stage. Applicants must be an Indian citizen to apply for JEE Advanced 2018 registration. PIO/OCI candidates are also eligible to apply. Students who are appearing in 10+2 or equivalent examination are also eligible for JEE Advanced exam. Contenders can attempt the JEE Advanced two times in consecutive years. Contenders must have been born on or after October 1, 1993. Registration fees of JEE Advanced under the new GST tax rule. Those Indian nationals’, who filled exam centers in foreign countries, need to pay USD 160+GST towards registration fee. Selection will be done through their qualifying marks in JEE Advanced followed by other processes of admission. Mode of Exam: Exam will be organized through online mode (computer-based test). Number of Papers: JEE Advanced comprise of two papers (Paper 1 & 2). Attempts: Applicants need to attempt both the papers. Language: JEE will be asked in English & Hindi Language. Exam Duration: Time duration is of 3 hours. Subjects: Question paper of both papers will consist of three separate sections given below. Visit the official site of organization that is jeeadv.ac.in. On the home page follow “Brochure” tab. Hit on “Press here to download” link. Fill an online Form with complete details and upload scanned images of documents and photograph, if required. Pay application fees as by credit card or SBI net banking. Finally, submit form within the given period of time and take a print out of it.